The second outing by the Kinara team, Kajjal was opened by Sean Collender and Shoaib Yunus in October 2007 - and it's proved a very welcome addition to the restaurants of Malahide. 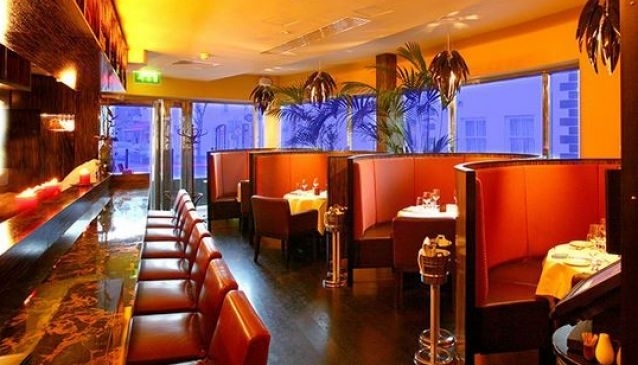 Just like its sister eateries Kinara (Clontarf) and Kinara Kitchen (Ranelagh), Kajjal was designed to create a friendly and relaxed atmosphere providing a consistently good standard of food and service. Applauded for its authentic flavours and friendly staff, Kajjal is also a good choice for vegetarians - there are quite a few suitable menu options. Their lunch menu is excellent value, and you can hear live music every Sunday from 2pm to 4pm.